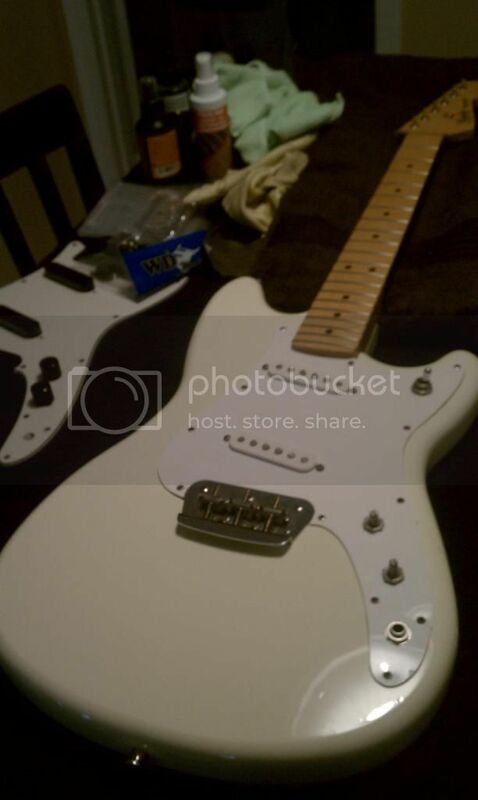 PROJECT: Fender Duo Sonic 93' MIM (sorry bad pics). So heres the story after 20 years of playing guitar this was the first guitar I ever bought with my own hard earned cash at the age of 13. I loaned it out during College to my Lil' Cuz to learn how to play and it ended up a little rough around the edges. So after getting him a new guitar in return I adopted this back and a few years later its getting a 20th Anniversary re-fresh build. I gave myself parameters and guidelines to stay within, of course my own touch here & there but somewhat true to the original vibe of the Duo/Mustang/Musicmaster/Bronco family. Enjoy! 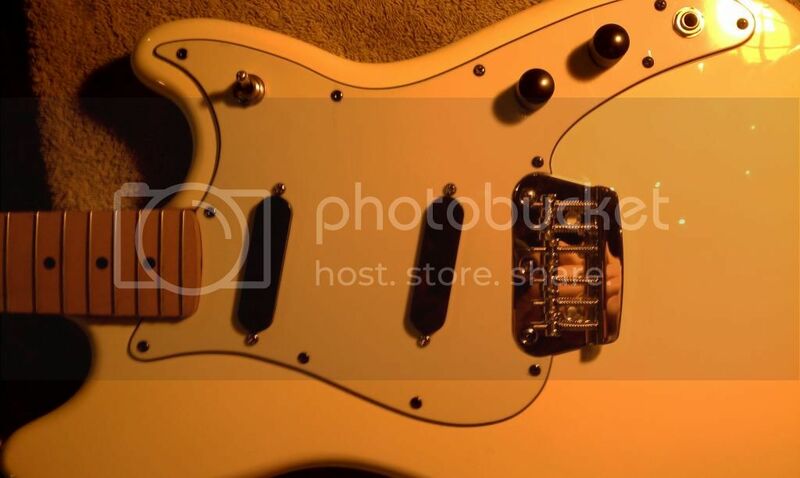 WARNING: I know its generally forbidden to do this but...I use a vintage mintgreen pickguard from WD on an Arctic White (not traditional color-sorta neon marker yellow mix) I figured this would look cool since this color was too strange for a tortoise pickguard. 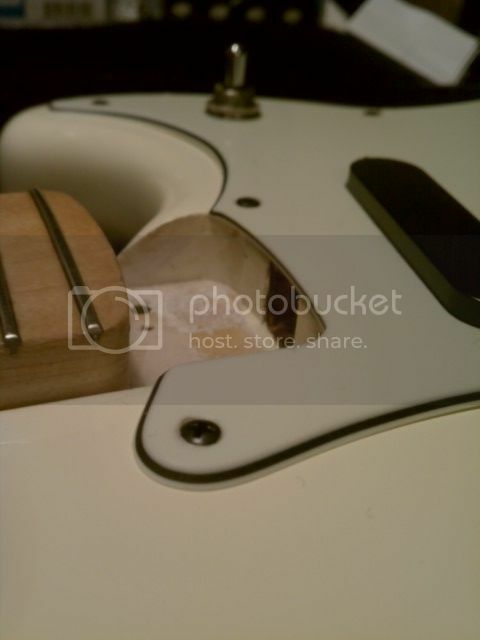 The original pickguard was one layer, didnt fit, and was finally beginning to crack/warp. Some black accent hardware, a musicmaster bridge, and a neck swap would give this abused guitar "new life." 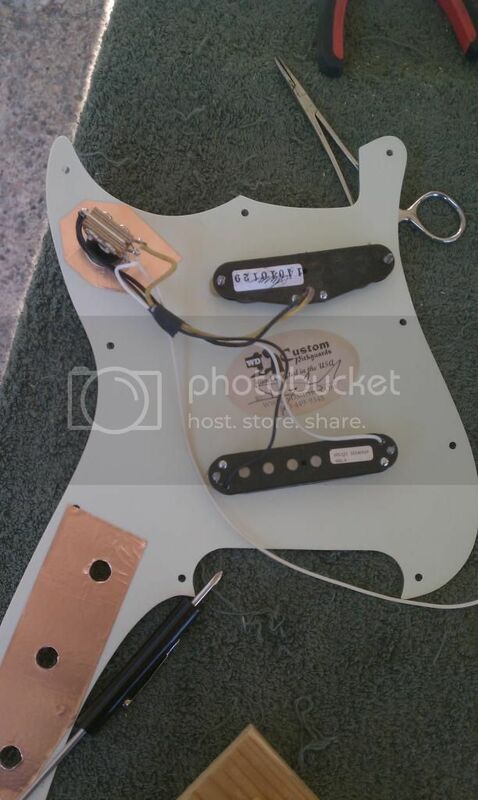 I plan on upgrading pickups eventually but I want to get this working before fully investing. 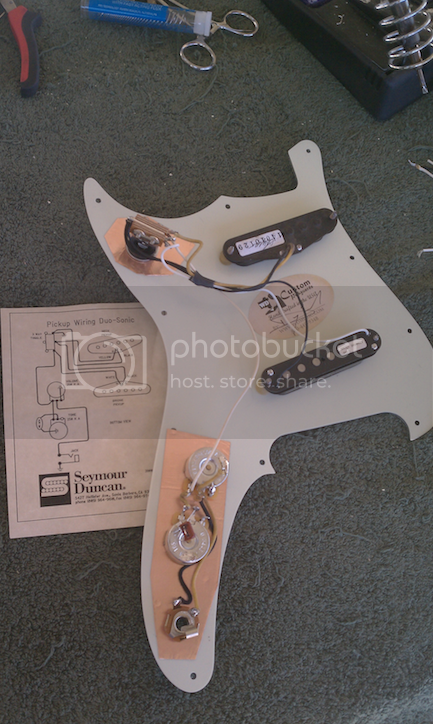 ^ Progress so far, Test fit bridge, and filed the pickguard. I finally found and chose a 24" scale neck. 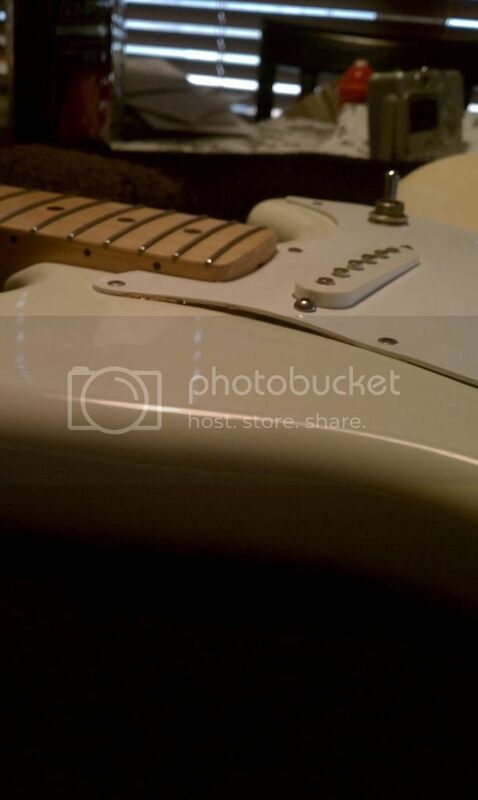 After lots of research, considering between fixing up the original (new frets, bone nut, crown-level-polish), or going 24" mustang etc, or even Strat neck of 25.5"...I finally made my decision. I didnt want to move the bridge back for the neck as I have decided to stick with the original paint with all the dings and history involved with me personally. 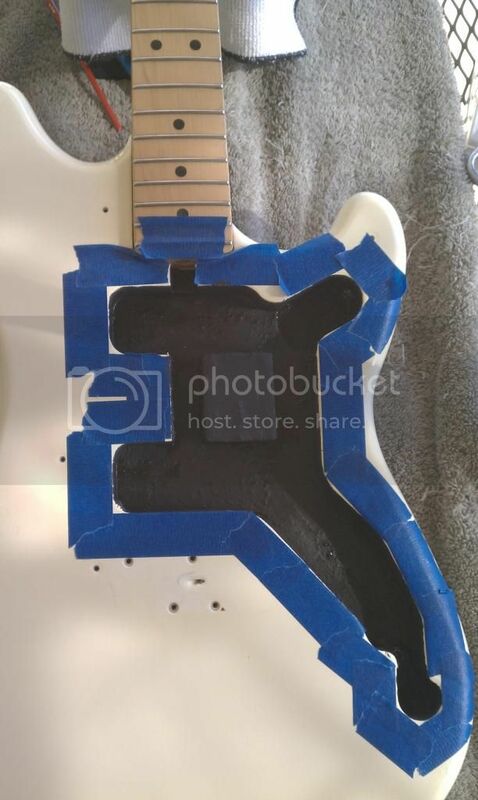 If I were re-painting then I may have considered a strat neck etc. I would actually like any input on the pickups I'm considering between the SD antiquity Duo Sonic Set or SD SSL-3 bridge/SD SSL-5 neck. Any other info i.e. 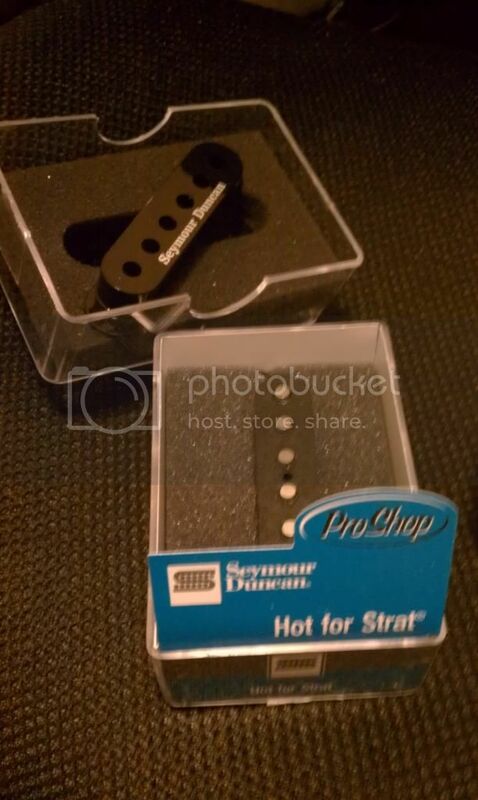 do strat pickups just swap in or are the poles spaced differently? No pup info to share, but agree that this is a cool project. Interested to see how it turns out. ^Thank you Sir! I decided on mixing and matching the pickups. 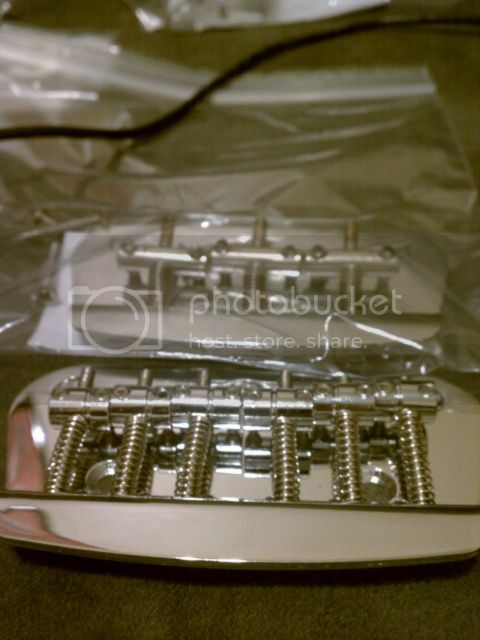 I ordered the SD SSL3 bridge and the aniquity SD neck pickup (RWRP). 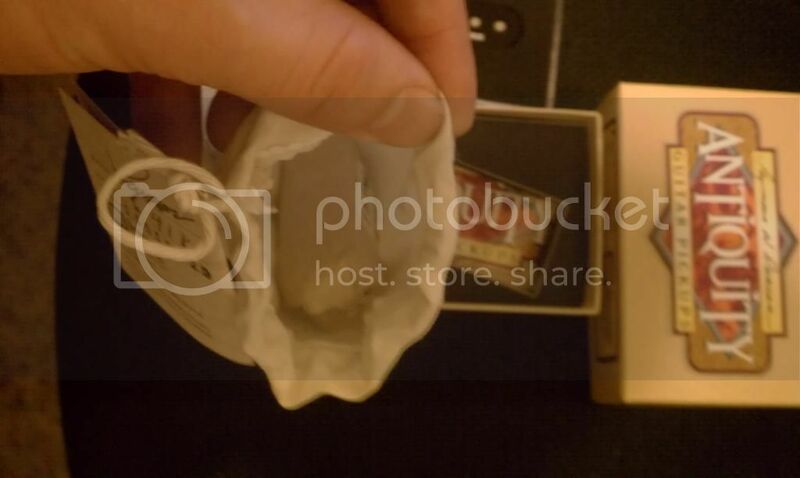 Just waiting on shipping, also waiting on the conductive paint etc. just kidding, looks good. why did you put a warning? 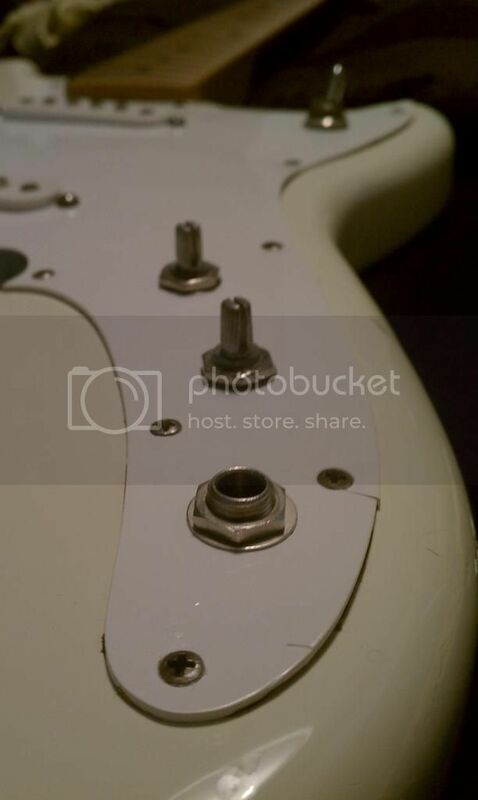 ^ Funny you ask but it seems that most people have the prestigious opinion that Vintage Mint Green pickguards shouldn't be on white guitars. Black and Sunburst are what most prefer them paired with but I guess having a white guitar with a mint green pg is like wearing a brown belt with a black outfit. If that makes sense, haha? But whether its tradition arctic white, olympic, or even my weird "i ate a one-a-day vitamin and pee'd in the paint mix" mim 90s duo arctic white I like them all with mint pgs. I usually swing towards tortoise shell pg's on white fenders (my fetish) but this white is SO weird that it would look odd possibly, so I dared for the mint. I cant wait to take some better pics and continue some more progress Tuesday! 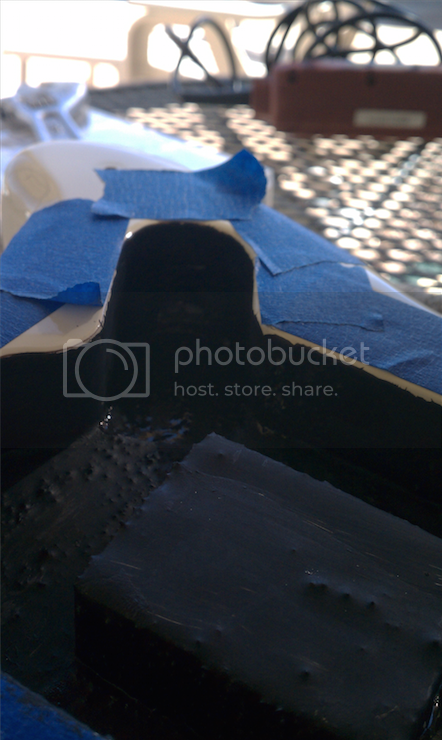 I think its gonna look pretty cool, fingers crossed. I don't think anyone here has that problem, probably not even on the switch tip forum. I suppose there could be some that would complain about the black screws, if they even notice them. Although I admit sometimes mint gets used on everything excessively, even on guitars that would probably look better with cream, but I'm not referring to white guitars. Not to mention tort. ^ I dont mean to imply anyone on here or any majority on here per say shares that opinion. Its just a common rule Ive noticed among other sites and word of mouth. But Im one to clash or purposely rock out a an eye sore. But I think this looks really cool in person cuz the Duo Arctic is so weird and neon lol. Im sure not everyone likes the black screws but the point is just slight black accents. 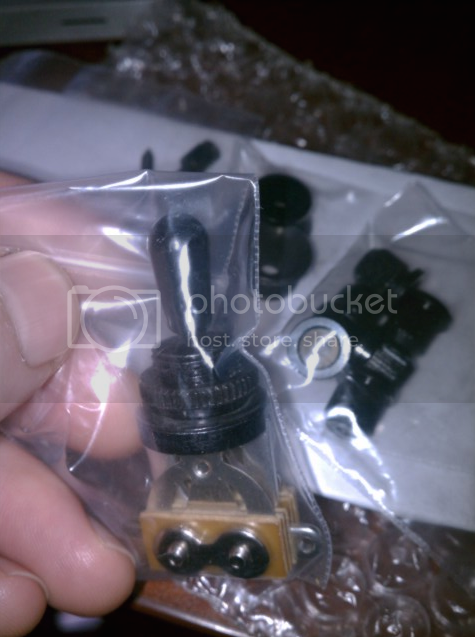 From the layer of the pg in black to the screws and the soon to be black 3 way toggle etc. Just minor things to give it some flair. I got to admit its been pretty fun piecing this puzzle back together. I decided to stick with the original neck for now. 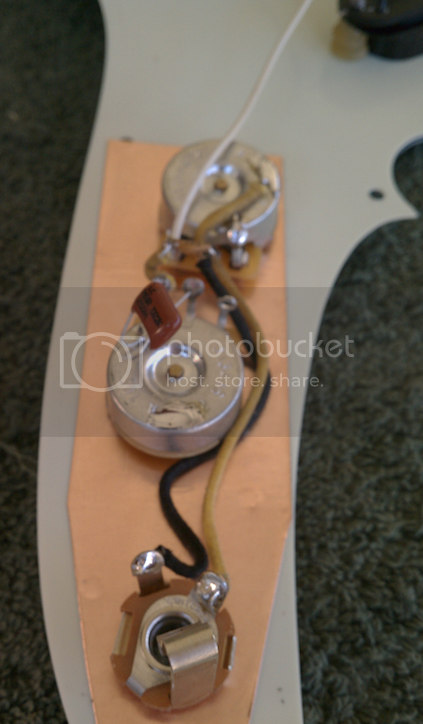 Its just not worth any more modifying on this Duo maybe another one down the road I'll swap a neck. But then again I have a Jagstang and Mustang project coming up so that may never happen or be a long time from now etc. 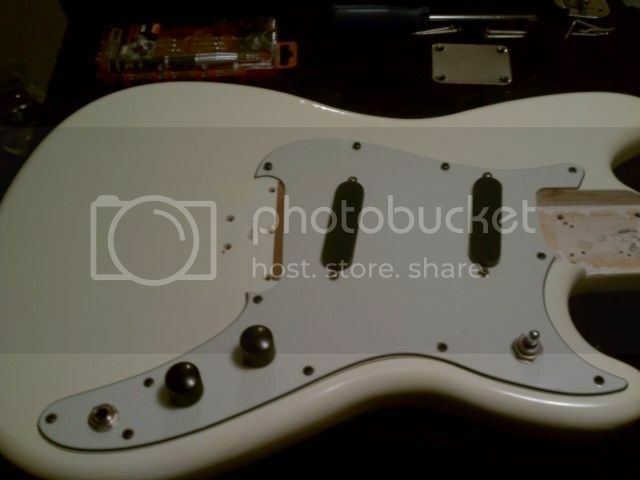 So I'll post some pics of the shielded paint body cavity, new tuners, and when I do the bone nut. 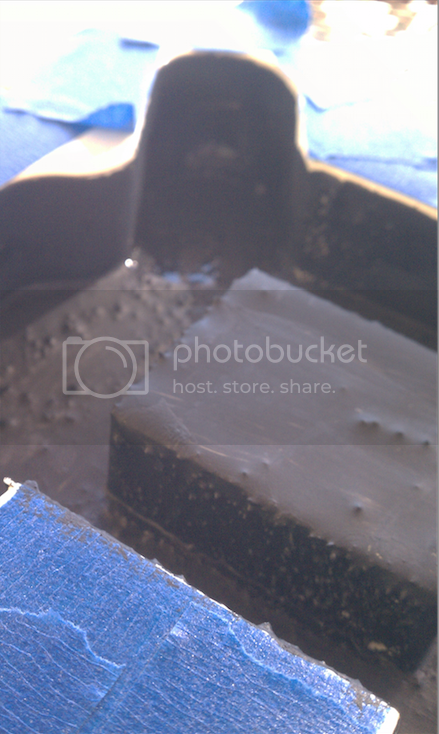 Lastly, I need to drill for the string thru, then enjoy! Sorry no one responded to this earlier. I think I can clarify this for you. 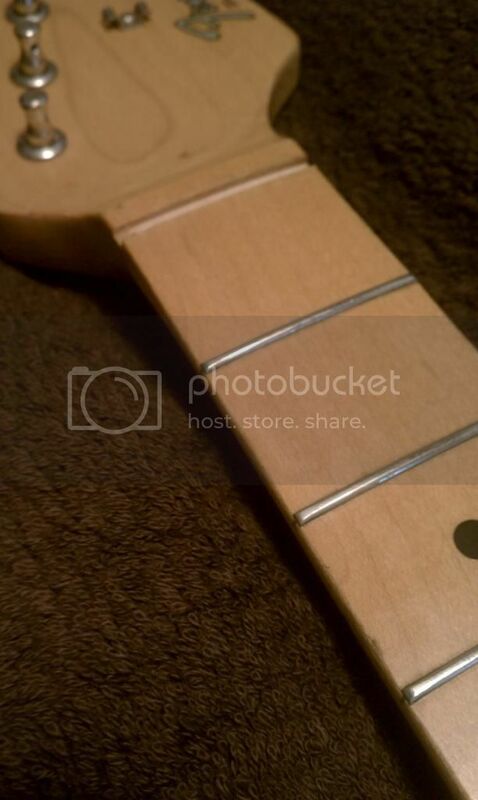 2) You can put a 24" conversion neck on there without moving the bridge. A conversion neck is a neck designed for a 25.5" body that "converts" to 24" scale through advanced design. Some Jagmasters have 24" conversion necks. 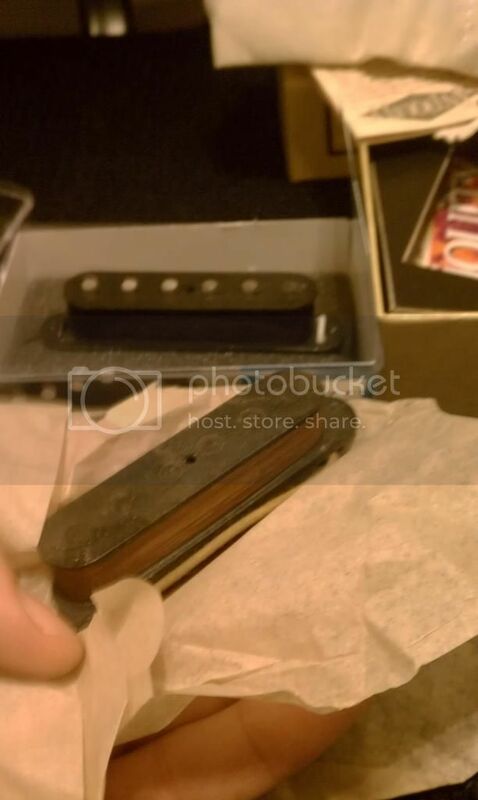 3) You cannot put a regular 24" neck on there without moving the bridge. 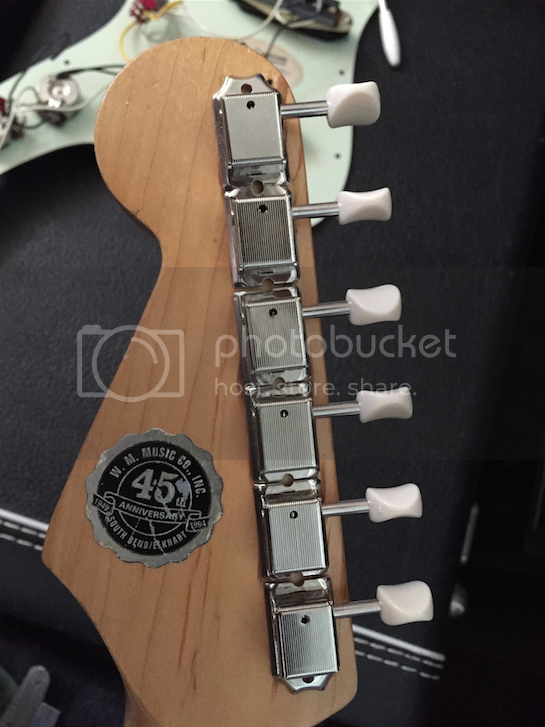 Regular 24" necks can only be swapped with other regular 24" necks. These include Mustangs, Jaguars, and Jag-Stangs. Vintage Duo-Sonics and Musicmasters are also part of this group. Another note: MIJ (and CIJ) necks are built to different specs and may not fit in the neck pocket if the body is not MIJ. Most Mustangs and all Jag-Stangs are MIJ. Good question... would like to know as well. I've never tried to put a 24" neck on a MIM Duo. My notes above are based on things I've read on this forum. My final thought is that you shouldn't give up on finding a good replacement neck! Don't settle for the old neck if that's not what you want. You shouldn't have to move the bridge.